As a small business owner, how often do you miss incoming calls? It could be much more than you think, according to worrying new research on how SMEs answer their company calls. Based on a telephone study of 142 small businesses located across the U.K., 47% (67 respondents) missed the initial call. This shows that almost half of small business owners are missing valuable phone calls, which could represent a significant loss in new business opportunities. 47% of small businesses left calls unanswered. Businesses using a call answering service, such as those supported by live receptionists, answered 85% of their calls. 37% of the 75 businesses that answered the phone did not take time to engage with the caller. 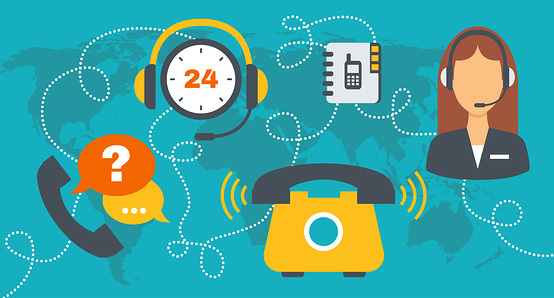 Businesses with reception services perform on average 35% better at answering incoming calls. Those equipped with phone support missed almost 40% fewer calls. Almost half of small businesses are unequipped to deal directly with incoming calls. But perhaps most shockingly, the study reveals that of those missed calls, over 50% provided no call deferral or message-taking service at all. Judith Ludovino, Managing Director of TelePA Ltd and Mendip Hub in Somerset, U.K., commissioned the research and urged small businesses to do more to ensure those all-important first calls are handled more efficiently. As the first point of contact between a business and its clients, answering calls efficiently is crucial to generating more leads. Not all small businesses have the resources to answer incoming calls promptly, which is why many choose to outsource company calls to a live receptionist service. These services, such as those supplied by Alliance Virtual Offices, minimizes the risk of missed calls and ensures that out-of-hours calls are handled appropriately. Digging deeper, the study goes on to highlight concerns over the level of service and courtesy that callers are receiving when their calls are eventually answered. 64% did not offer a greeting and only 9% offered to help. This research shows that call answering and live receptionist services are particularly beneficial to small businesses, and to those that lack the resources to answer their company calls promptly and to a high level of service. Find out more about how a live receptionist can help keep your callers happy by contacting the team at Alliance Virtual Offices.